Summer begins on my calendar after our May Procession. In meteorological time, it begins June 1. What this means is that the season of summer extends through the warmest months of the year, which in the Northern Hemisphere are June, July, and August. I only discovered today, while beginning this article, that in Great Britain and Ireland (and other northern countries) summer follows weather, or meteorological time. In Shakespeare’s A Midsummer Night’s Dream the play takes place during the shortest night of the year, June 21, although this is not, in meteorological time, mid summer. That would be mid July. However, in North America we start our summer with the summer solstice, June 21, which, I think, makes more sense because it marks the longest day of the year, and even though the days begin to slowly grow shorter after the summer solstice, June, July, and August are the months with the longest days of the year overall. School time, of course, summer begins when school gets out, or, on the average, Memorial Day, the last Monday in May. In the Southern Hemisphere our summer is their winter; so June 21 for them is the winter solstice. Liturgically, in the summer, the Church lives in the season of Pentecost. On Pentecost Sunday we celebrate the Birthday of the Church, the Day the Holy Ghost, the Spirit of Truth, descended on the fearful Apostles and changed hesitant men into roaring lions for Christ. “And suddenly there came a sound from heaven, as of a mighty wind coming, and it filled the whole house where they were sitting. And there appeared to them parted tongues as it were of fire, and it sat upon every one of them: And they were all filled with the Holy Ghost, and they began to speak with divers tongues, according as the Holy Ghost gave them to speak” (Acts 2:2). The sun in the summer is high in the sky and gives off its greatest light and heat during the season of Pentecost. The sun is fire, and without fire there is no light and no heat. There is a trinity in all created things. Light proceeds from the fire, as the Son from the Father, and heat proceeds from the fire and light, as the Holy Spirit proceeds from Father and Son as Love. 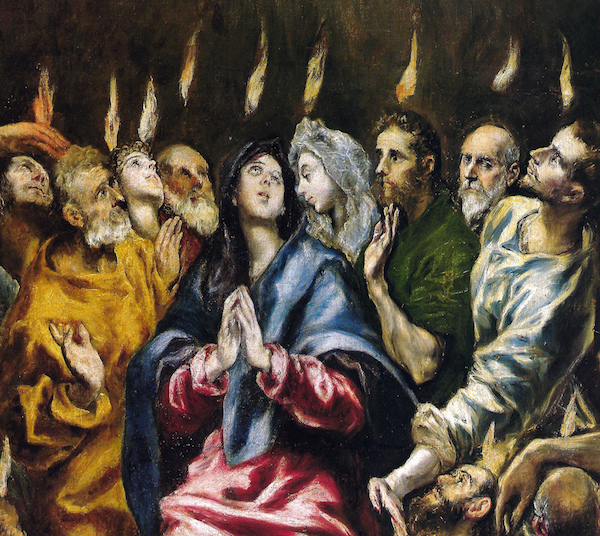 Why did the Third Person of the Trinity appear as tongues of fire upon the heads of the Apostles? What is it about this material element, or rather, its manifestation as light and heat, which makes it so spiritual that indeed, although invisible itself, all material things must be seen by means of it and, although unfelt itself, makes all things warm that are touched by it. Fire, by its nature, is material, but it is the closest of all material things to immaterial realities. Heraclitus, an ancient Greek philosopher, who lived around the fifth century B.C., was convinced that fire was cause of everything in the cosmos. He was one of many philosophers of that time who studied at Ionia (Miletus, in today’s western coast of Turkey) at the school founded by Thales, the father of western philosophy. The thinkers of that Eleatic school, as it was called, were looking for the ultimate causes of the material universe, and they were stuck in the material realm until Anaxagoras came along. He came up with the idea that nous, or mind, was the ultimate reality that formed all things, and that purpose (telos) was behind the order in the cosmos. However, Plato said that he fell short of attributing design, and, therefore, knowledge to his nous. The Greeks, among others, believed that there were four ultimate elements: earth, air, water, and fire. Thales thought that water was the ultimate element from which all things arise and participate in. Anaxamenes thought that air was the basic element. Heraclitus considered it to be fire, because, he said all things are in flux and always changing and fire underlies all change. He was the first philosopher to use the term logos (reason or word) although he did not rise to the spiritual realm with that concept as Plato did later. For him, logos, was creative of all things, but still material, although utterly ethereal, containing all things, even opposites. This kind of speculation may not seem very brilliant to us, but we must remember that the ancient Greeks were pagans and had no knowledge of holy scripture, hence creation from nothing by an Omnipotent God. By the light of reason alone they were unable to entertain the concept of a beginning (creation), believing that matter, even if formless, or chaotic, was eternal and infinite. In fact one of their philosophers, Anaxamander, posited that the cosmos arose out a force that was limitless and infinite. He was a fascinating thinker and studied directly under Thales. He was, among many other things, an astronomer and mathematician and he calculated solstices and equinoxes. He had a peculiar theory that the Earth, which he held to be cylindrical, was orbited by a revolving dome that was punctured with holes and that outside the dome was fire, hence the stars were merely small holes in the canopy and the sun was a big one. Nevertheless, I was always impressed by Heraclitus, whose errors, like other Greek philosophers, helped the advance of natural wisdom as much as his correct theories. If we understand by “fire,” in Heraclitus’ thought, the reality of “change,” then that element takes on a deeper significance that mere flames, light, and heat. But enough of that. It is fire that I wish to write about, albeit briefly, in its relation to our Faith. The word “fire” in holy scripture is used analogously and really, spiritually and physically. When Jesus said, “I am come to cast fire on the earth; and what will I, but that it be kindled? (Luke 12:49), He was, of course, speaking analogously of spiritual fire. As was His Precursor, John the Baptist, when he told the penitents who had come to his baptism: “I indeed baptize you in the water unto penance, but he that shall come after me, is mightier than I, whose shoes I am not worthy to bear; he shall baptize you in the Holy Ghost and fire” (Matt. 3:11). Heraclitus made a good point when he spoke of the power of this incandescent, or flaming, combustion of fuel and oxygen, that seems to defy an adequate definition. Physical fire is not limited to what we are familiar with everyday; lightning is fire; and the sun and stars are fire, but much hotter than the flames that end up as carbon gas in our ordinary experience. The fire of the sun is the cause of almost all energy related substantial change: photosynthesis and evaporation, which give us plant life and rain; without CO2 in the atmosphere and H2O plants would not live, nor animals, nor man. Carbon dioxide is what plants take in to grow (call it plant “respiration”) like our lungs do air. We exhale CO2 on account of our 98.6 degree body’s fire. What we produce in CO2 is not enough for plant life, but it helps. Volcanoes certainly exude a lot, as do forest fires, and all decomposing fossil fuels. Point being: fire changes things. When Jesus calls us to penance, and fills the world with the grace for all men to amend their lives, He likens it to casting fire upon the earth. We need the fire of grace from the Spirit of Christ to do penance and “change our minds” as the Greek word for penance, metanoia, implies. The sacrament of baptism does even more. The baptized become members of the Mystical Body of Christ and are “washed” (baptizein, in Greek, means “to wash”) from all sin by the fire of the Holy Ghost. That is why John the Baptist was so excited about Jesus’ baptism, which was far greater than his. As the church teaches us, the grace of baptism (and all the sacraments) works ex opere operato, from the act itself of receiving the sacrament; all that is needed for those with personal (and original) sin is Faith and sorrow for sin, and all sin and punishment due to sin is wiped out. That’s a change worthy of supernatural fire, isn’t it? How much of a change? How about being translated from mere children of Adam to becoming children of God and heirs to the kingdom of heaven! When we see or feel fire we stand away from it lest we get burnt. For all the good that it does for us, it can also kill us. But God has other things that he does with material fire, and you will be surprised to know what He does. He sometimes manifested His presence in the Old Testament by fire. God spoke to Moses in a burning bush, and that fire, although material with flames and all, did not consume the bush. The laws of nature were suspended by the Author of nature, so that Moses would realize who it was who was speaking to him. A pillar of fire led Moses and the Israelites through the desert nights on their way to the Promised Land. An angel from heaven took a burning coal from heaven’s thurible and purified the lips of Isaias the prophet with it. This fire did no harm, but purified him. And, speaking about suspending the laws of nature, when God punished Pharaoh and the Egyptians for refusing to allow the Israelites to depart their land, one of His punishments was fiery hail. How could hail be on fire? Well, God can make anything, except a contradiction, which is not a thing. Fiery hail is not a contradiction, as would be dry rain, or a square circle. “And the hail and fire mixed with it drove on together: and it was of so great bigness, as never before was seen in the whole land of Egypt since that nation was founded. And the hail destroyed through all the land of Egypt all things that were in the fields, both man and beast: and the hail smote every herb of the field, and it broke every tree of the country” (Exodus 9:24&25). So fire, material fire, can purify. This is what the fire in purgatory does. It purifies the souls waiting there to be taken as perfect vessels to heaven. Even here on earth fire purifies, as you know. Pure iron is extracted from impurities in iron ore by fire, and iron is purified by fire again to make steel. Iron and brass were being produced by Adam’s grandson Tubalcain. Even steel is mentioned in the Bible (Jeremais 15:12). Today there’s about 1300 million tons of it produced annually. How does material fire purify souls? Well, we know that it cannot consume souls because the soul is spiritual and immortal. How then does it torment a soul in purgatory? First of all one must realize that the torments of the fire in purgatory are of a different kind than the fiery torments of hell. The fire is material in both places, but in purgatory the suffering souls have holy joy, and they desire to suffer. 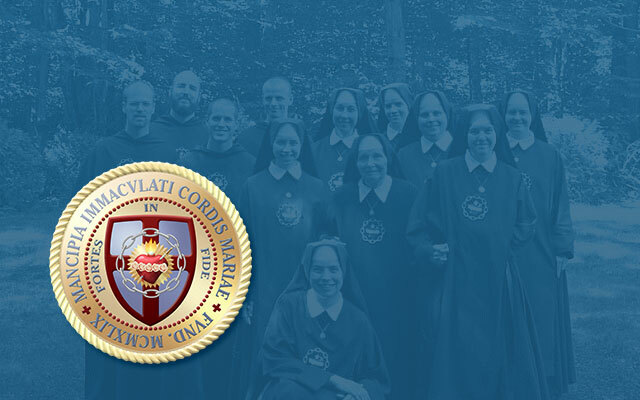 They know that they will see God and they also know that, although their guilt has been erased by confession, they must be “refined” spiritually from all the dross that the effects of personal sin has stained their wills with. This is why we pray after Holy Communion at Mass that the Body and Blood of Jesus will “cleave” to our very entrails (literally, yes, that is what the Latin viscera means) and wash away “every stain of sin that remains” in us. I do not claim to understand why God chose fire to purify holy and imperfect souls in the next life, but I do know this, and I’ve been repeating it all along: Fire changes things! It cannot change a soul substantially, like it could a mortal body, but it can change a soul accidentally, by refining it. Therefore, it is better to refer to the punishments in purgatory as a chastisement. Chastisement is medicinal for the soul; it is inflicted in order to bring about change for the better. This is what Saint Paul meant when he wrote in his first letter to the Corinthians: “For other foundation no man can lay, but that which is laid; which is Christ Jesus. Now if any man build upon this foundation, gold, silver, precious stones, wood, hay, stubble: Every man’s work shall be manifest; for the day of the Lord shall declare it, because it shall be revealed in fire; and the fire shall try every man’s work, of what sort it is. If any man’s work abide, which he hath built thereupon, he shall receive a reward. If any man’s work burn, he shall suffer loss; but he himself shall be saved, yet so as by fire” (3: 12-15). The fire in hell does not purify, but it torments in just punishment. It is not a chastisement. These torments are not the essential punishment of hell, but the accidental. The essential punishment of hell is the pain of separation from God, the pain of loss. To miss out, through one’s own fault, on the end for which one was created, the eternal vision of God, is the greatest of all pains that the damned suffer. Some of the more modern opinions proffer that the misery of the damned lies in that they have to live forever with the choice they made final at death to reject the love of God. This is, of course, true. But it is only one side of the coin of misery. The other side, the worse pain, is knowing that in opting for this final act of rebellion, the damned “feel” the turning away of the face of God from them. No, they do not see the face of God in His essence, but they do see the face of Christ the God-Man at their particular judgment. They do experience, and that forever, the horror of His just sentence: “Depart from Me.” And, this is yet another torment, their self-knowledge. They know their sentence is just. They see their own state of perpetual rebellion, which accuses them of a fixed will of preferring to continue in their sins even if they had the opportunity of a thousand more years of life, of two thousand, of a million. This does not mean that every one who is damned suffers in the same degree. Hell has its own “mansions,” some far more wretched than others. Even when it comes to the fire, not every person in hell is roasting over the flames. What the children of Fatima saw and what Saint Theresa of Avila describes below, is the place where the vast majority of the damned are tormented, each according to their particular vice or vices. But there could be other places in hell where the fire is not burning the unrepentant sinners from within but where it acts from without, tormenting the person by way of ligation. So, says Saint Thomas. The fire acts upon these less evil creatures as would the walls of a prison, afflicting them by way of confinement. But still, and justly, a most horrific end that will never end. This is the beginning of wisdom, to fear God. First, to have a servile fear of Him, then, after growing in love, to arrive at a filial fear, which is to fear offending God on account of His goodness, rather than His punishments. “But I will shew you whom you shall fear: fear ye him, who after he hath killed, hath power to cast into hell. Yea, I say to you, fear him.” (Luke 12:5). The highest choir of angels are called seraphim. It is a Hebrew word, derived from sarap, which means “to burn.” Each of the nine choirs performs some service to God that befits their class. The seraphim are the highest lovers of God among the angels; they reflect in the highest brilliance the Nature of God, which is Love. The seraphim ceaselessly praise God in unending chorus: “Holy, Holy, Holy, Lord God of Hosts (Armies). Heaven and Earth are full of Your glory.” It was a seraph who took a burning coal and purified the lips of Isaias, who had seen two of these angels each with six wings, chanting in a song of praise before the thrown of the King of Glory in heaven. As we live our Faith during this season of Pentecost, let us renew at times the vows of our baptism as we did during the Easter vigil. Let us deeply desire, as we pray, that the Holy Ghost truly “come” and truly “fill” our hearts, and the hearts of our neighbors in Christ. Baptize us again, O Lord, not, of course, sacramentally, for we can only be born again once, but by Your purging fire. Through Your sanctifying power, may we be worthy flames in that holy conflagration which Jesus came to cast upon the earth.